The article below is reprinted with permission from www.getvoip.com. The article originally appeared here authored by Nick Campanella. If you have the three-year contract in front of you, one of the most important things you need to look for is a service level agreement (SLA). Business VoIP, SaaS, and UCaaS solutions sell themselves on the service they offer through their software. We know VoIP functions through the internet rather than standard telephone lines, which is why it’s important to ensure, in writing, that there’s an agreed-upon level of service that must be provided. Business owners understand that outages happen from time to time, or that their business VoIP phone system can only be as good as the infrastructure they’ve invested in. However, if, a business notices they’re not getting the level of service initially agreed upon, they have every right to go to the SLA and either demand their money back or get the service they paid for. If you find yourself not receiving the level of service in your contract and your provider isn’t helpful, you can contact the FCC and show them your SLA. From there, they might decide that your case is enough to legitimize your complaint. The services you sign up for typically come from the features available to you. Again, if you want to find out more about what each provider offers, all you have to do is go to their features page. From there, you’ll see what’s offered with each pricing plan. Usually, there’s a big gap between the cheapest or free plan and the highest plan. That’s why scalable pricing plans are so important. Not only should features and functionalities be scalable with price, but they should also be updated frequently to ensure the highest quality user experience. Some features and functionalities to not sacrifice on in 2019 are AI-powered communications and analytics, live chat, CRM software integrations, and APIs. If you already use CRM software and you don’t plan on switching to another provider, find a business VoIP provider that integrates smoothly with what you already use. Don’t feel obligated to rush into signing a three-year contract without knowing what you could get for the money you’re willing to spend. There might be another provider out there who offers just as many features for either a significantly lower price or without needing to sign a contract. Then again, having a contract ensures companies stay true to their word. When you know what the competition is offering, you give yourself the opportunity to negotiate before you sign the contract. It’s not a guarantee, but providers typically want your money, and they’ll go out of their way to ensure you are offered a personalized experience. If they’re willing to put that in writing, you don’t have to worry about the legitimacy of their offer. And who knows? If you find yourself really loving your VoIP phone solution because of that one feature, you could always scale up. Don’t just go for the lowest price. The most important thing to remember is that when you’re choosing a business VoIP provider, it has to fit with your business’ current goals and strategies. As businesses aim to regain the trust lost from their customers, they’re offering more support options to make the experience smoother and more transparent. This means they’re going to offer multiple channels to connect with them. It might also mean, though it’s not industry-standard yet, they offer 24/7 support. In general, the more they offer, the better. If you see anything about omni-channel, be sure to ask about that. Omnichannel customer support is a major business trend in 2019, which means that businesses are offering their customers the ability to use multiple channels simultaneously to offer a more personalized customer experience. 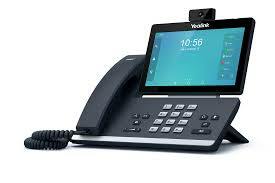 Business VoIP providers are offering the same thing to their customers. If, for example, you’re a business owner and you have trouble with the app, you should be able to open the app while you speak to a support agent at the same time so they can troubleshoot the issue in real-time. 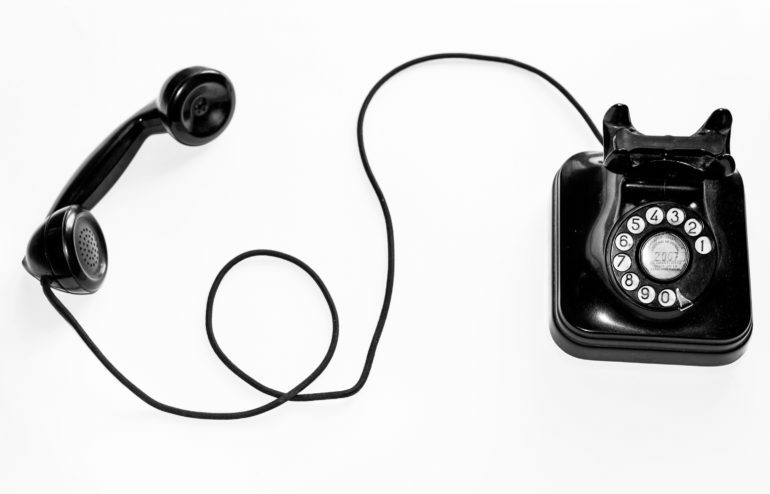 VoIP providers typically have a support page on their website. From there, you can access FAQs, their knowledge base, a blog, and more. Pick a plan with quality customer support before signing that three-year contract. Startup costs are typically a driving factor in determining whether or not a business VoIP provider is right for a business. Before you sign a three-year contract with a business VoIP provider, you have to understand what the upfront costs are. If you don’t read the fine print, or if you don’t ask the sales agent any questions regarding these costs, you can lock yourself into a three-year deal where you’re paying way too much. This isn’t to say that VoIP providers are looking to rip you off. The easier it is for you to see the cost of signing up for a business VoIP system, the more likely that the provider is confident in their ability to offer a powerful user experience. Even if there was a surprise you weren’t expecting, a good provider will break down what happened and why while trying to find a solution. Also make sure your business is ready to switch to a business VoIP solution. This means you have or are buying VoIP phone systems, you have a strong internet connection, and you have a computer. It goes without saying that you need a stable internet connection in order to successfully use a business VoIP system. But what does that even mean? As you’re probably expecting, it depends. But it’s pretty straightforward. Your internet provider could make a difference as well as how many devices that use wifi in your office. For starters, you want to know how much functional bandwidth your company gets. Some companies like to say, “Up to 200 mbps,” whereas others say, “200 mbps,” which is a huge difference. It only takes 500 kbps to support 1 concurrent phone call. 30 mbps can handle up to 67 concurrent phone calls while taking other internet use into account. For video chats and conference calls, you could use multiple mbps. Again, this all depends on what kind of business you operate. Smaller teams and startups can get away with less, but bigger companies need much more to avoid any issues. It’s also possible that the hardware you receive with your purchase of a business VoIP system can be damaged upon arrival or break. If you’re paying good money for a service, and you need that hardware to function properly, you have every right to ask what their warranty policy is like. There will, of course, be fine print, that you should ask to go over with an agent so you understand exactly what you get. Some warranties might cover everything within the first year while others might only cover things that are out of the user’s control, like faulty wiring. So first, pay attention to how long the warranty is good for, then look closely at what exactly it covers. Cisco’s website allows customers to look up what kind of warranty they’re covered under based on the product they purchased. You can search via SKU number or product family. Their policy is also clearly listed for you to review at any time. Try to find providers that are transparent about their policies. You might still be wondering why you need a contract in the first place. The primary reason is that it ensures you’re guaranteed the features and functionalities advertised on a provider’s website. Some deals seem too good to be true, and more often than not, they are. However, you receive legal accountability by getting the features advertised in writing when you sign a contract. Three years can be a very long time in the tech industry if you sign a contract without considering any of the variables we listed above. These ten crucial things to consider before signing a three-year contract with a business VoIP provider will ensure you keep your business’ needs front and center. A good contract will give your company the ability to scale and adapt to the changing times. Our final piece of advice is to be skeptical of any business VoIP provider who doesn’t offer any of the features, functionalities, or policies we listed above. The article below is reprinted with permission from www.getvoip.com originally appearing here. 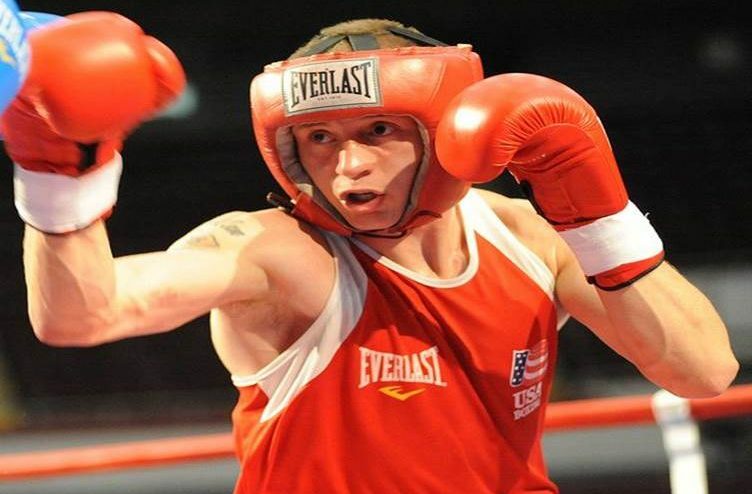 Committing to a contract with a business VoIP provider isn’t easy. And it’s understandable you’re concerned about locking yourself into a three-year contract with a business VoIP provider. Three years can be a long time if you’re not getting the quality service you signed up for. To ensure that, we’re going to break down ten crucial things to consider before signing a three year contract with a business VoIP provider in order to make the most out of your phone system and improve the overall user and customer experience. Like we just said, three years can be a long time if the service you signed up for isn’t meeting your expectations. It can also be a costly three years if there’s no way of backing out of a contract. Some providers might hit you with cancellation fees like cell phone companies, so it’s imperative to understand what it costs to cancel if need be. Knowing the policy is also key to determining when the best time to leave a contract is. If you’re a couple months away from renewing your current contract, but you’re not sure if it’s best to wait out the remaining time or to cancel immediately, this is what makes knowing what you’re signing up for so important. Depending on your current situation, it might be better to either wait it out or to cancel and save some money. If an agent seems hesitant about going over the cancellation policy, that’s should be taken as a sign that you might want to reconsider your options. However, most providers are transparent about pricing and will be happy to share that info. Cloud-based VoIP providers have the benefit of easily updating their features on a regular basis in order to remain competitive. This comes particularly in handy when we’re talking about security. Cloud-hosted business VoIP solutions have to adhere to specific protocols that ensure their service is offering the best possible securities features to prevent security breaches and data theft. Vonage, for example, clearly outlines this in their FAQs. The reason to look into how often a business VoIP provider upgrades their service is because it’s telling how much they prioritize the user experience. Companies today separate themselves from their competition by offering a better experience. If they’re not highlighting how often they’re updating their service, it could be an indicator that your best interests aren’t the top priority. And if you’re considering a three-year contract with that provider, the lack of usability will be a significant detriment to your company. Always be sure to go to the provider’s website and check out their blog. They might even have developer notes that mention the latest software updates. It’s also imperative to understand how much the plan you’re going to sign up for costs. Even better, you should know if you’re going to be locked into that initial price. Three years is a long time in the tech industry. Trends, features, and functionalities are all changing rapidly in conjunction with the effort to improve the customer experience. If you’re a startup and you predict your business will need more to stay competitive, it should be clear that you can upgrade your plan at any time. Or, at the very least, there are add-ons you can purchase to personalize the user experience. Priorities change as your business grows. The plan you lock yourself into shouldn’t keep you from meeting the specific needs of your customers. Have you had enough of telemarketers and robocalls pestering you at work, at home, and on your cellphone? You are not alone. The YouMail Robocall Index™ estimates that 75.5 million robocalls were placed in the month of October, 2017 to telephone numbers in area codes 718,347,917, and 212. By now you surely have added your telephone numbers to the Federal Do Not Call List, and that will notify legitimate telemarketers to stay away, but companies you have done business with, charities and political organizations can still call you. And then there are the FRAUDULENT telemarketers. They don’t pay any attention to the Do Not Call list. Most fraudulent telemarketers are located outside the U.S. Therefore, they do not have to follow U.S. guidelines. Here are some steps that you can take. Some are actually quite counterintuitive! Keep your number to yourself. Refuse every request to provide your phone number unless you are absolutely required to do so. Providing your number is a tacit invitation for companies to call you or to sell your number to a third party. There is nothing to gain from attempting to reason with the people behind the calls. In the past, many people have recommended certain number combinations or the pound key to delete yourself from a robocall registry. But does pressing the right numbers really take you off the list? No, you’re actually making it worse: “By pressing a number, you are confirming that someone is actually responding to the call, and you will likely receive more of them. This seems like something that maybe would’ve worked at some point, but scammers have gotten smarter and improved their systems. Check NoMoRobo.com to see if your landline is covered by their service. For cell phones, search ‘call blocker’ in your app store. You can request the deletion here. Any other questions? Give us a call at (718) 887-0300 or email us at support@compuvoip.com. We’re thrilled to help! In any economic climate it is important to make sure that businesses get value for every dollar. When buying phones from a third party, be aware of the businesses’ needs at the phone level over and above the hardware purchase. It is important to know the risks involved in purchasing phones from a third party. CompuVoIP’s approach covers all costs associated with hardware and labor in setting up the phones. CompuVoIP’s primary business driver is not supplying hardware or configuration costs. Although the hardware and implementation is critical to the service, CompuVoIP is most concerned that implementation establishes the sound foundation for a best-in-class service. Boot ROM files must be installed on each phone. This is pre-imaged by our vendor if you buy the phones from CompuVoIP. Firmware files must be upgraded on each phone. This is done through CompuVoIP’s custom automated system. Each phone must be manually set up with a provisioning server. This is also done through CompuVoIP’s custom automated system. 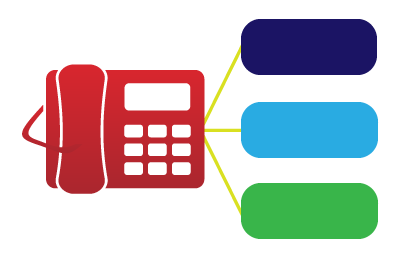 CompuVoIP’s vendor scans the MAC addresses for each phone and provides CompuVoIP with an accurate spreadsheet to build the configuration file for each phone. Without this, the customer would need to manually document the MAC address of each phone. When done manually, this is a very tedious process and prone to errors that can lead to complications in the install. ⇒ Increased errors due to the customer’s manual entry of MAC addresses in the phone configuration spreadsheet. ⇒ Increased labor costs associated with the customer’s manual entry of MAC addresses in the phone configuration spreadsheet. ⇒ Increased complexity in dealing wit another vendor instead of dealing with a single point of contact. 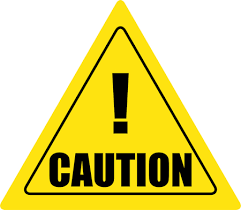 ⇒ Increased risks due to unknown consistency of outside hardware distributor. If this vendor changes product lines and does not continue to support your chosen phone model, hardware support may suffer. Most phones have a life of approximately eight years. It is CompuVoIP’s desire to see your implementation go as smoothly as possible. We feel it is important to pass this experience on to our clients so decisions can be made with the best information available. What Monster Lurks in Your Wiring Closet? One of the things that never ceases to amaze (and confound) our technicians is the sorry state of low voltage wiring that they encounter when doing site visits at potential customers. The most pathetic part of this situation is that fact that these businesses see nothing wrong with it. Besides the aesthetics, if one can guarantee that nothing will ever change. No new extensions added, or deleted. Ever. No new internet or WiFI connections. Ever. Then it probably doesn’t matter, since this is hidden in a closet out of sight. And the reality on the ground in any business is that NOTHING stays the same. 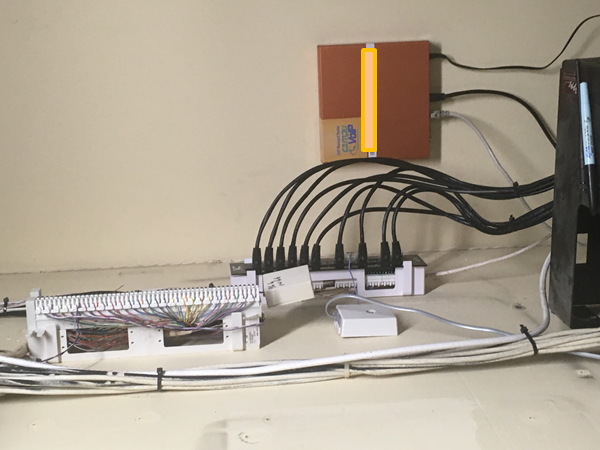 In fact, the hopes and aspirations of any business owner is business growth.. and with business growth comes changes in their phone system… and the need to unravel the spaghetti of installations like this one to figure out how to connect the new resources. 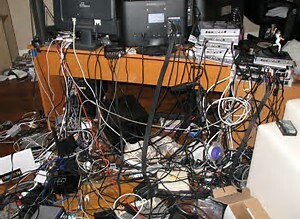 Let’s take a look at what wiring ‘done right’ looks like!! 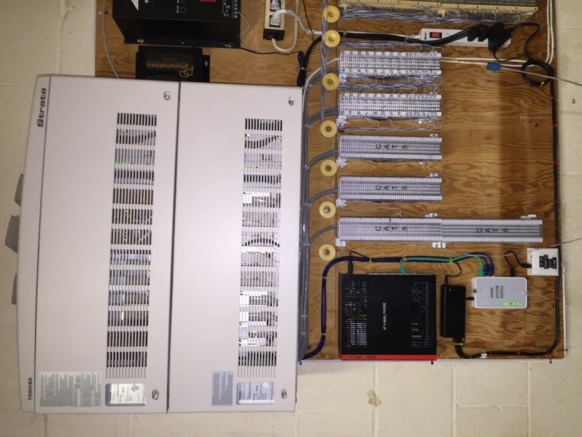 Here are some pictures of the work done by our technicians when installing on-premise PBX systems. Of course, for our hosted customers, where the PBX is in the cloud, the wiring pictures look even more impressive. 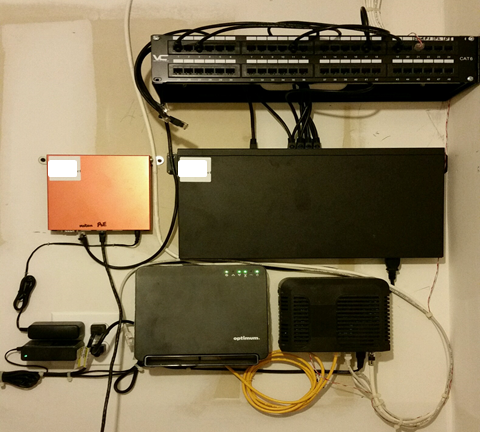 Note the simplicity of the wiring; it reflects on the simplicity of using and managing a hosted VoIP system. 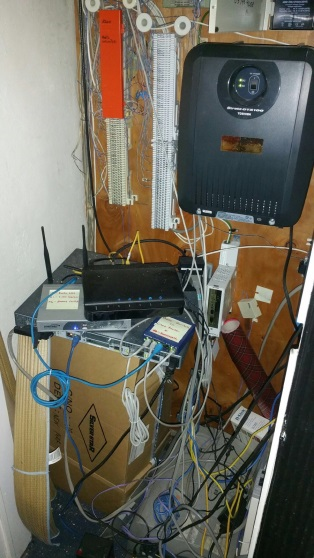 Give us a call at (718) 887-0300 or visit us at www.compuvoip.com to learn more about what are expert technicians can do for your wiring issues. We’d be happy to talk to you about some of the many other advantages of hosted VoIP if you are ready to make the move to a simpler world. Imagine getting a copy of your phone bill and discovering two line items with official sounding names. Imagine further that after doing some research about those line items, you discovered that they were not really official at all, but, they were a sneaky way for your telephone provider to make some more money at your expense? That might be enough to ruin your appetite, wouldn’t it? Well, what if we showed you an actual invoice where not only were those two line items present, but the telephone provider included them when determining the local taxes due on the service? We’ve masked any details that would allow you the guilty party to be identified. In other words, you, the consumer, are helping to pay the cost of their doing business. Despite the official-sounding description, this is not a tax or required by the government. The money goes to your phone company. “These are additional charges which are essentially a way to hide rate increases,” said Christopher White, chairman of the telecommunication committee with the National Assn. of State Utility Consumer Advocates. The NYC 8.875% tax of 12.01 is calculated on the sum of all of the service charges and fees. This is where the double whammy happens. Bad enough that the provider adds on bogus charges to your bill, but they then go ahead and collect NYC tax on that amount. It is not clear that there is justification to charge tax on mandatory profit line items. While we’re on the subject of double whammies.. A quick check of the web will reveal that a monthly fee for unlimited domestic VoIP telephone service of $45.99 is more than 200% of the ‘going rate’. The small 7.99 discount doesn’t do much to level the playing field. So, what lesson do you learn from this incursion into the dark side of telecom billing? At a minimum, you have become an educated consumer. Use your power to push back on any charges, taxes, and fees that you cannot identify. CompuVoIP offers a free, no strings attached, audit of your telephone bill. We can show you samples of our bills. You won’t find any bogus charges and fees there. And our monthly service fees are competitive and attractive. Had enough? Give us a call at (718) 887-0300 or visit us on the web at www.compuvoip.com. Here at CompuVoIP, we get calls every week from customers that are unsatisfied with their current dial-tone service provider or VoIP business telephone service providers. After spending some time with the customer to get a better understanding of their concerns, we generally share with them how the CompuVoIP VoIP service will better meet their needs. That’s when it usually happens. When the CompuVoIP representative asks the question “Are you under contract with your current provider?”, a period of heavy silence usually follows. Far too often, the silence is followed by the response “Yes, and our contract just auto-renewed and we are stuck for another 24 months!!”. While often touted as a convenience for the customer with the promise of hassle-free uninterrupted service, auto-renewal or “Evergreen” Clauses are clearly advantageous to the service provider. They lock the customer in for the full duration of the original contract term. Auto-renewal clauses are often referred to “boilerplate clauses” with the intent of giving the impression that they are fixed and cannot be changed, and most customers are sufficiently intimidated by the term to acquiesce to their presence in their agreements. The truth, however, is that EVERYTHING is negotiable. As the customer, you can leverage the power of the purse and the pen. Never relinquish that power unless it is to your advantage. And what to do if your carrier tells you that your 24 month contract has just auto-renewed and you want out? California Law requires that automatically renewing charges for subscription services be disclosed in a “clear and conspicuous” manner, which means that it must be more conspicuous than the surrounding text and in close proximity to the signature line. The extraordinary remedy for a service provider failing to comply with this provision is that any additional services provided to the consumer will be deemed an “unconditional gift. Illinois, North Carolina, Louisiana, and Oregon have similar “clear and conspicuous” requirements in automatic renewal provisions. Are you located in New York State? Rejoice! New York has taken the “clear and conspicuous” requirement one step further by requiring the service provider to notify customers at least 15, but not more than 30, days prior to the renewal that the provision in the clause is to be activated. See New York General Obligations Law Sec. 5-903. This notice must be served on the customer personally or via certified mail and failure to comply will render the automatic renewal unenforceable. The New York statute only applies to contacts for service, maintenance, or repair, but the customer can be an individual or a business. There’s never a contract for our service at CompuVoIP. We ‘lock you in’ by delighting you so you’ll never go anywhere else. Looking to upgrade your service, or to move to a service provider that doesn’t lock you into a contract? Visit us at www.compuvoip.com or give us a call at (718) 887-0300. Keep IVR menus short and simple. Don’t have more than 3 options in a menu. Our short term memory is limited in capacity. Be mindful and respectful of your customer and don’t overwhelm them with too many choices. Only play messages when they are needed. Your customer has a mission: to get what they need as quickly as painlessly as possible. Superfluous messages are distracting and confusing. Make sure that you only play what your customer absolutely needs to hear. Always provide an option to exit to an operator. 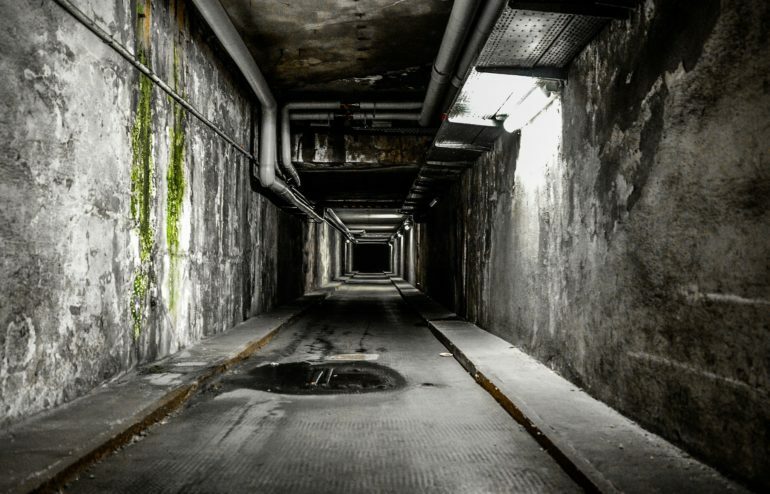 Your IVR should not be a maze with dead-end paths. 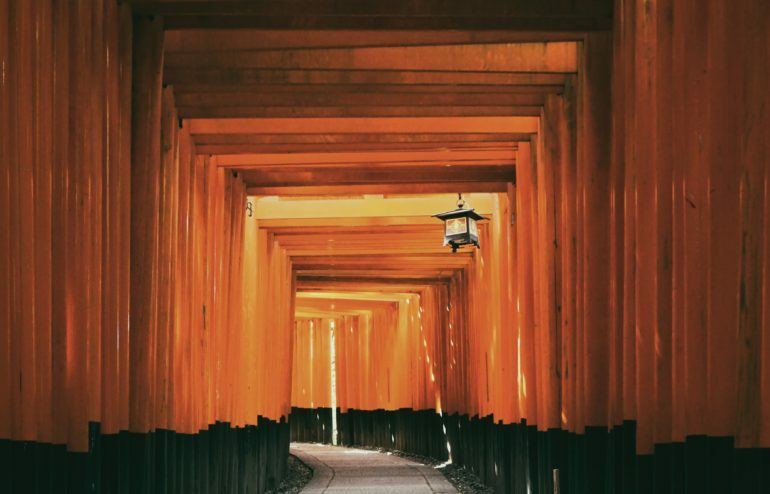 Make sure there’s an escape route available in every path in your IVR. Make it clear how the customer can repeat options or get help. Tell ‘em once, and then tell ‘em again at each level of the IVR. Allow the customer time to act: – build in pauses. 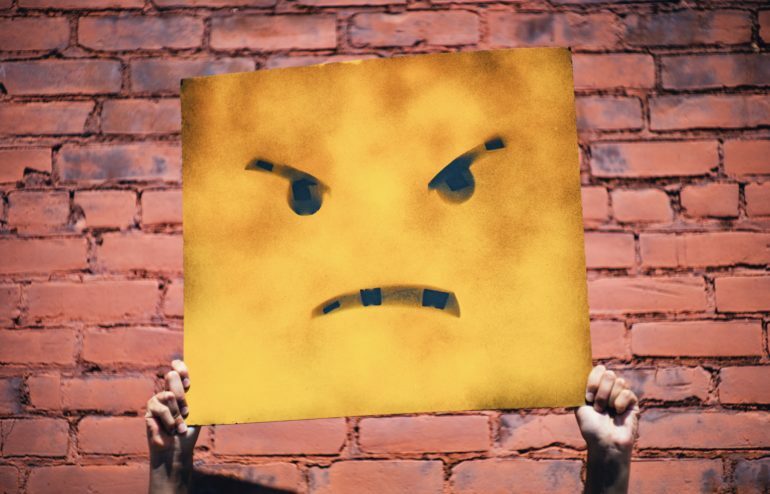 If you are too aggressive in setting time limits for response, you will end up with higher abandonment rates and heavier loads on your customer service staff. Voice responses are not appropriate for all callers. High levels of ambient noise can confuse voice recognition systems and frustrate your callers. They may also not be comfortable speaking their personal information if they are making their call in a public space. Invest the effort to present a consistent voice to your customer for the entire time that they are interacting with electronic call control. Complement your use of the IVR/ACD by investing in professional voiceover artists and you will impress your callers with your professional treatment.